Debra Monagan – President at Communica, Inc.
Each year, the Women's Initiative of United Way makes an effort to connect local women, and provide them a space to hear from female leaders in the community. 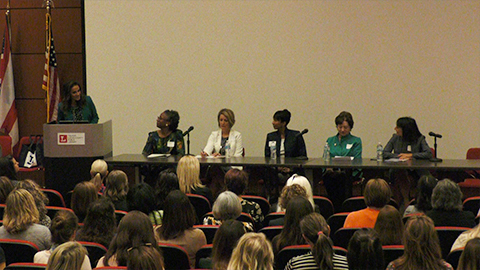 The theme of this year's panel discussion was "What Makes You Move?" The event was held at The Toledo-Lucas County Public Library.